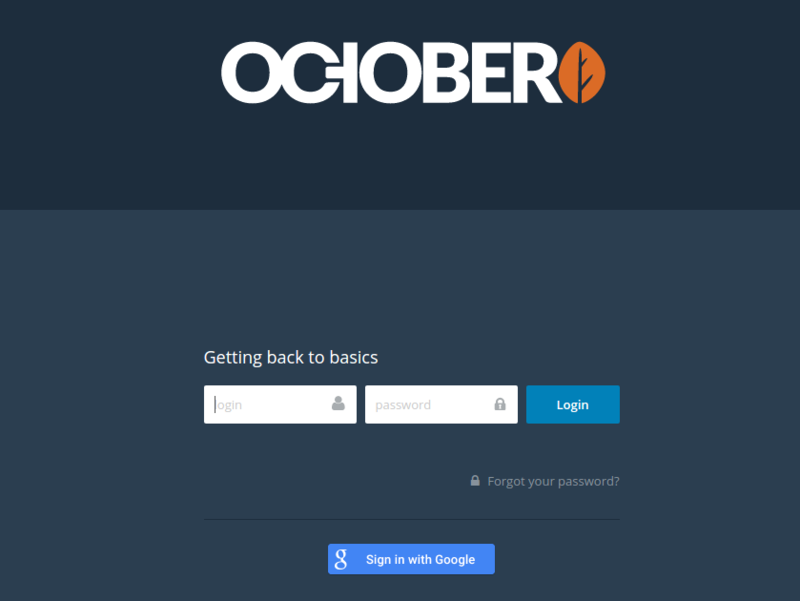 This plugin allows administrators to login on October backend with a third party account (at the moment, Google accounts only). 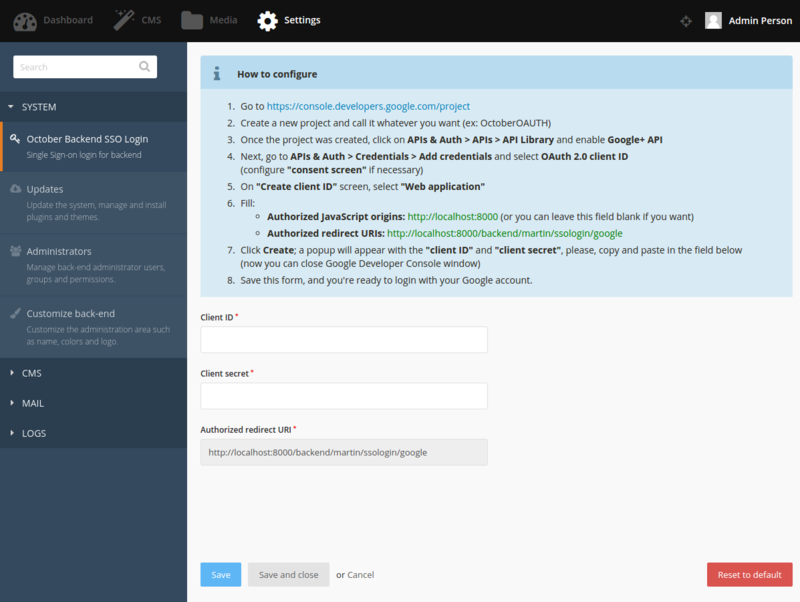 Users will be able to login with current user / password credentials as usual. All authentication attempts (Successful or Failed) are logged for extra security. Works as expected. I have one little error with return url there was because of "//backend" url. It works as expected. But it needs help update to new version of Google Console.